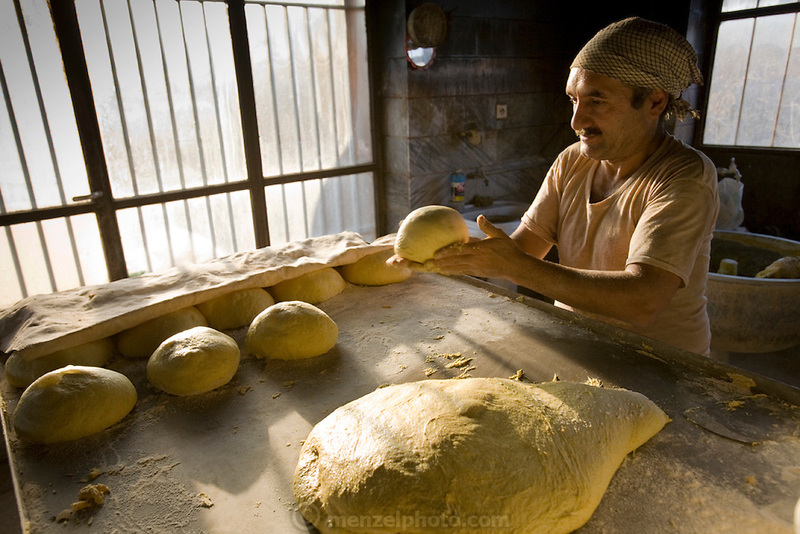 Akbar Zareh, who has worked in a bakery seven days a week since he was a young boy, forms dough in his bakery in Yazd, Iran. (Akbar Zareh is featured in the book What I Eat: Around the World in 80 Diets.) MODEL RELEASED.